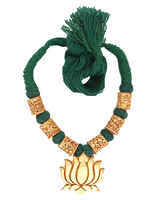 Add extra style and elegance to your persona by clubbing this green colour designer Rajasthani hand-made necklace with your traditional costume. 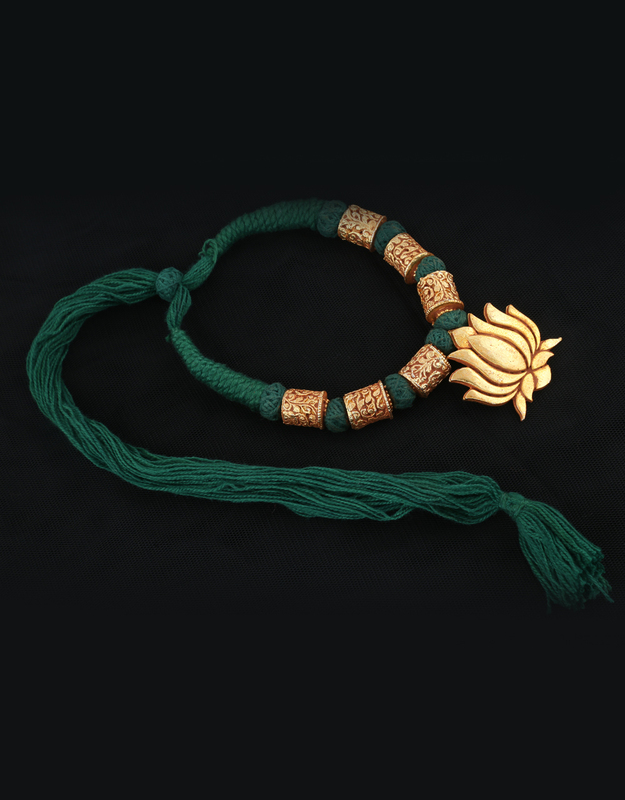 This Geru polished necklace is woven with beads and pendant which feature eye-pleasing intricate carving design. 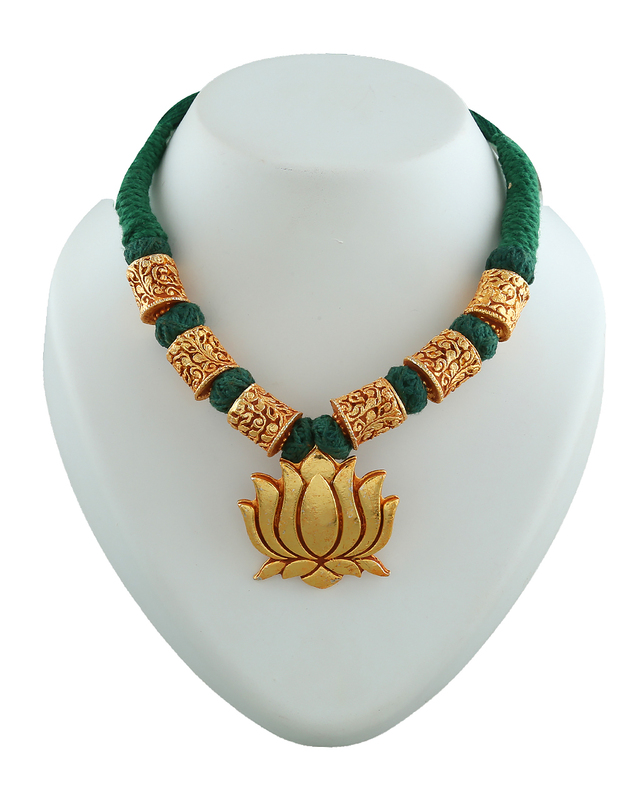 This thread necklace will fetch you lots of compliments from onlooker for your amazing choice. So order now!